The first time I ever remember trying coffee was when I was three years old, and it was in ice cream form. Growing up, my family and I would visit San Diego almost every summer, and on this particular trip, we were staying in Old Town. Right down a few flights of stairs from our hotel was this tiny ice cream parlor. 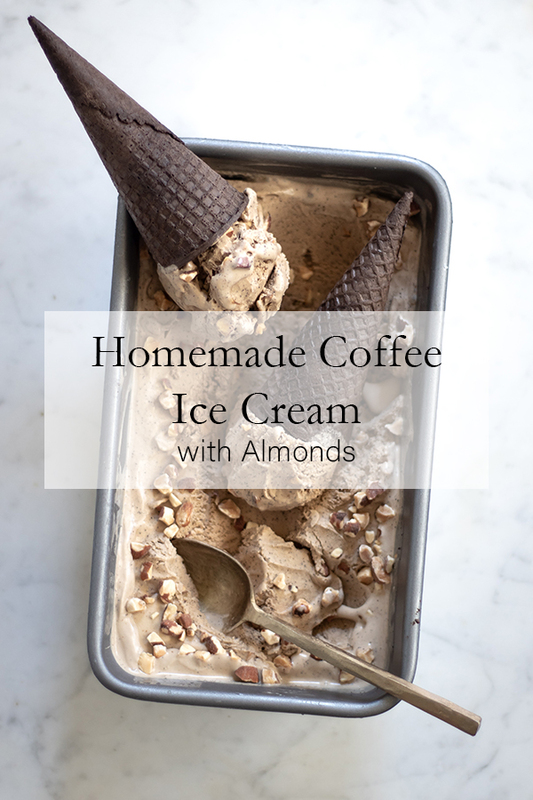 My dad went down to the shop one night after dinner and got coffee ice cream with chopped almonds folded in. Ice cream has always been one of my favorite things, so of course I wanted to try it. 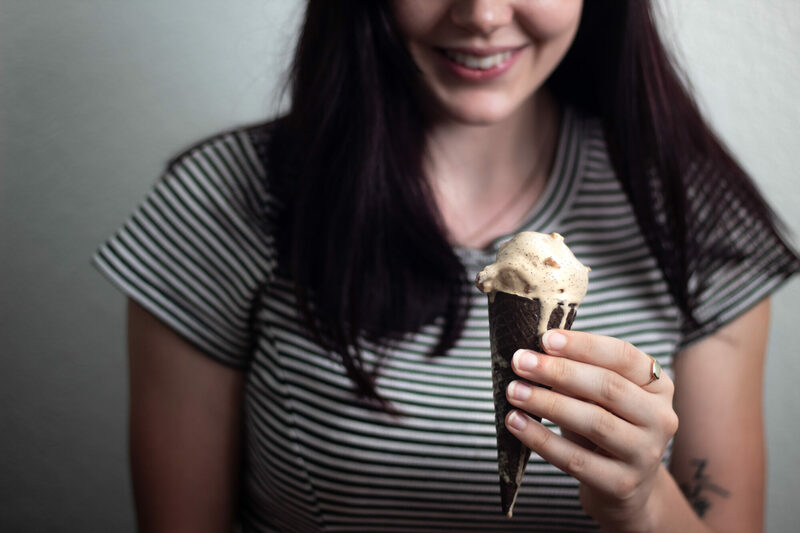 He probably thought I would be unimpressed by anything coffee-flavored, but joke was on him, because coffee ice cream was just the gateway brew that fueled my addition. I clearly remember being personally offended when he told me I couldn’t have anymore (probably because of the caffeine content, but like, who doesn’t want a caffeinated three year old jumping all over the hotel room beds??). Years later when I was a pre-teen obsessed with neon green and spiky, rubber earrings from Claire’s, my occasional treat was a caramel frappuccino. I would beg my mom to let me get one from the Starbuck’s stand inside of Albertson’s every week when we went grocery shopping. At the time, I thought a frappuccino was the pinnacle of the coffee industry, although I’m now of the opinion that frappuccinos are just milkshakes for people who don’t actually like coffee. It was only after I moved to Reno for college that I started going to small, local shops where I got really into coffee. It was those days of studying in cafes long after I should have been drinking coffee, talking to baristas, buying my first Chemex, and eventually becoming a barista myself that I decided to dedicate my career to this industry. I have loved every minute of exploring the depths of the coffee industry. 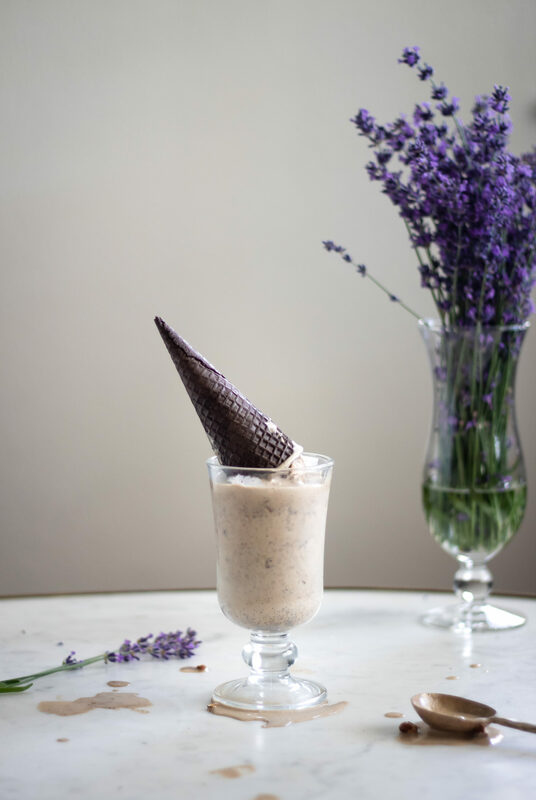 And even with my current snobby-coffee ways, I still have memories of that particular coffee + almond ice cream being one of the best things I have ever eaten. 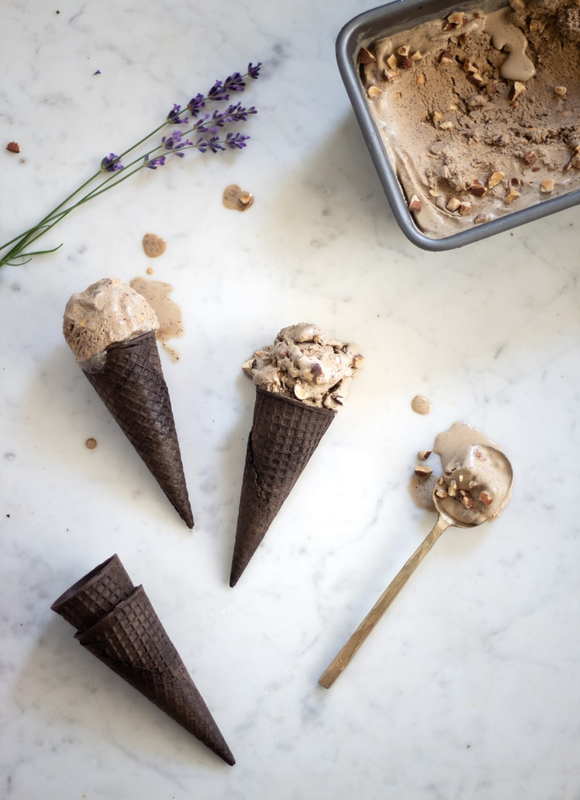 Recently, I have been trying to find coffee ice cream that I find as impressive as the first time I had it. I realize that it’s not going to be the same experience, because obviously, I was three so everything was totally awesome at that time, especially when I found something new that I loved. However, I wanted to at least try to recreate that memory, so I dug out my thrift-store ice cream maker that I’m pretty sure was manufactured in the 70s. For the coffee part of the ice cream, I went to one of my favorite local coffee shops and had them grind up some of their espresso blend. 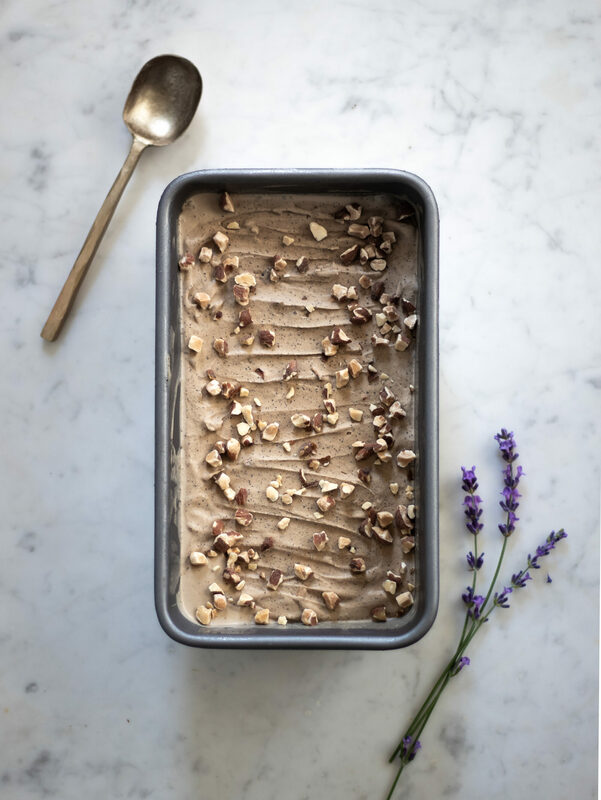 You’ll want a nuttier-chocolatey coffee for this ice cream as opposed to a super bright or fruity coffee. I’d go for a Central or South American coffee if possible. I had them give me an espresso grind, which is super fine, so I didn’t feel the need to strain it out. 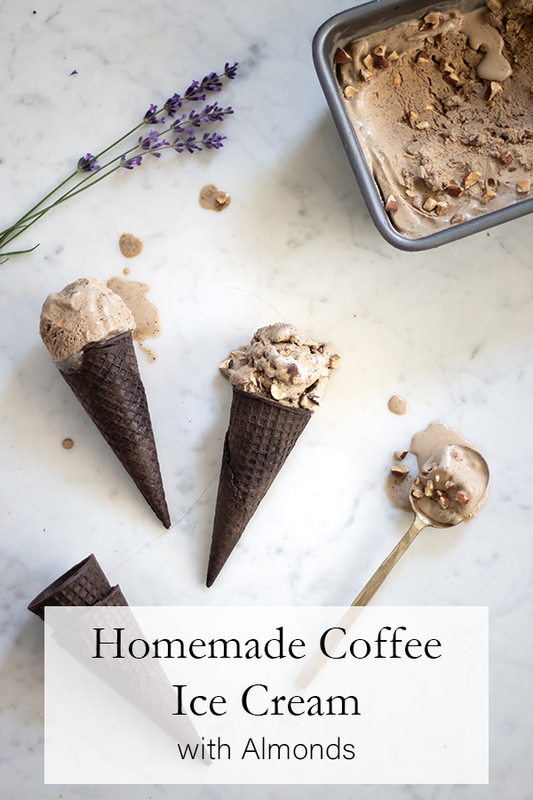 It didn’t affect the texture all that much, but if you don’t want coffee grounds in your ice cream, I would coarsely grind the coffee, let it brew for a few minutes while you’re heating your ice cream mixture, and then strain it out before adding it to your ice cream machine. Also, you could totally make this with other types of nuts. Since the bf is allergic to almonds, I’ll probably try this with hazelnuts in the future. 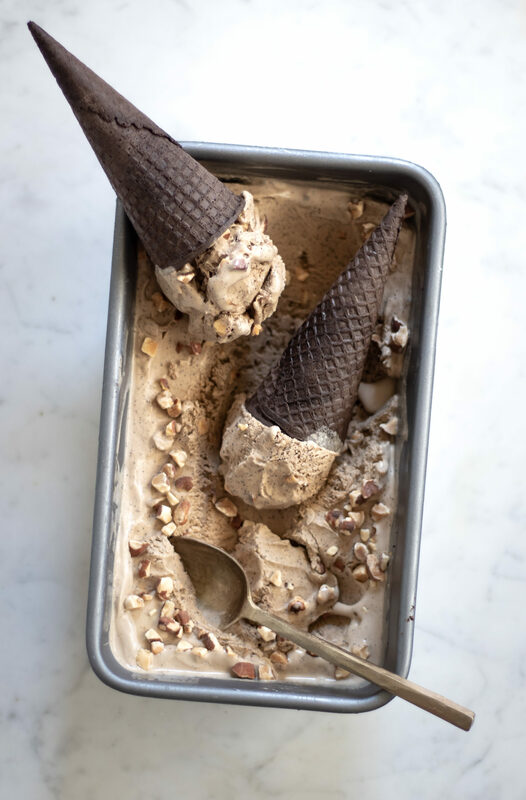 However, for this particular recipe, I went with some coarsely chopped almonds, and I toasted them prior to making the ice cream. So, I think we’ve established that I drink a lot of coffee. Like, a lot. I unapologetically like my coffee plain black, roasted light to medium, and from coffeeshops where the barista probably has a mustache. My boyfriend likes to tell me about his adventures to 7/11 for his morning coffee just to be irritating. I retaliate by forcing microlot Ethiopians down his throat 🤷 Coffee is my life, and I spend most of my days drinking it. Unfortunately, this means bad things for the whiteness of my teeth. 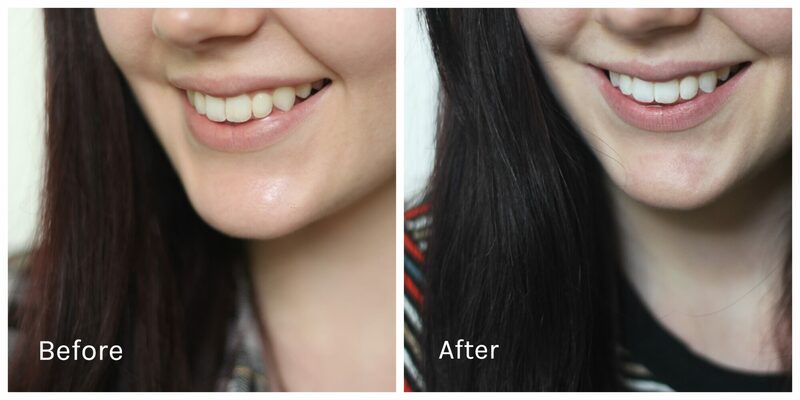 I’ve tried some whitening products, both store-bought and natural, but nothing was super effective long-term. Occasionally, I’ll try some whitening strips or brushing my teeth with baking soda, but all in all, it’s probably not the best for my teeth, and it doesn’t help with my intense gum sensitivity problems. Mostly, I accepted that my life of drinking coffee was going to come with some less than desirable side effects. I think my results look awesome! 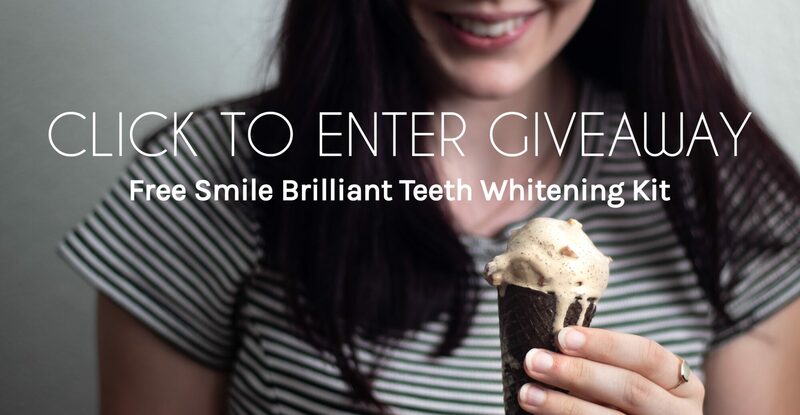 And since I love Smile Brilliant’s products so much, I’ve partnered with them to giveaway one free teeth whitening kit! All you have to do is enter via the link below, and I will announce the winner next week! If you can’t wait that long, Smile Brilliant has generously offered a 15% off coupon with the discount code serendipitybysaralynn15. And for the ice cream! Whisk together the milk, whipping cream, 1/3 c. sugar, coffee grounds, salt, almond extract, and vanilla extract. Bring to a simmer over medium heat. Meanwhile, whisk together the remaining 1/3 c. sugar and egg yolks until pale yellow, about 2 minutes. Gradually mix half of the cream mixture into the egg yolks, whisking constantly. Pour the yolk-cream mixture back into the saucepan, and cook over medium heat until slightly thickened. It should coat the back of a spoon. Strain through a fine-mesh sieve into a small bowl. Cool it with an ice bath. Press a piece of plastic wrap over the top to keep a skin from forming. Refrigerate for one hour. Stir in the chopped almonds. Freeze in an ice cream maker according to manufacturer's instructions. Pour into a freezer-safe container. Freeze for one hour before serving. 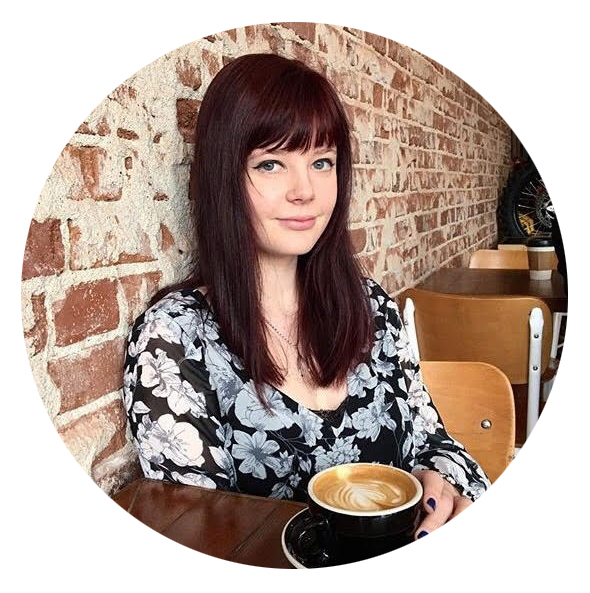 Thanks to Smile Brilliant for sponsoring this post! As always, all opinions are mine.